More rain in the forecast for Sunday so I took the cross bike with fenders out for the big ride. I am rain magnet. 1 hour into the ride the skies darkened and it began to rain but I was prepared for it and was having a great ride. 3:50:00 into the ride I get a flat in the rear. No biggie, I change it...but being cold and not very dexterous, I didn't check the tire thoroughly before swapping the tube. Dumb. 4:05:00 into the ride I get flat number two in the rear and I am out of tubes. Luckily I was only 2 miles from home via a muddy backroad shortcut so I walked home intending to change the tube in the garage and go back out. My wet clothes finally took their toll and I was shivering by the time I got home so I dried off, changed, and rallied for a mind-numbing hour on the trainer in the warmth of the house. I think I will carry two tubes on all long rides now. 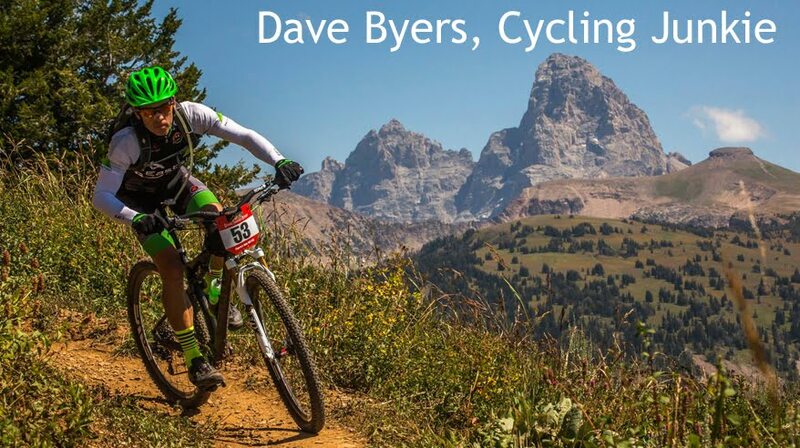 Since passing on the 18 Hours of Fruita, I have been quietly riding and training for the RIO Stampede (12 Hours of Steamboat)and really looking forward to my first mtb race of the season. But Thursday night I got an email from Lynda letting me know it had been postponed until August 9th. A major bummer, but RPP can't control the weather. In addition to my sudden loss of an immediate goal, the weather here turned again and we got 45F degree rain for three days straight. Having put in a bunch of trainer time this winter, I think I am a little burnt on riding inside. I put off my planned Thurs intervals until Friday hoping to do them outside but then it poured all day Friday and the funk set in. I was letting this weather negatively affect me. Saturday morning I was drinking coffee and trying to rally for a trainer ride, as it was 43F and raining again, when Chris E called; "Let's get on the 'cross bikes and do a dirt road Belgian-style tour of Teton Valley". Within an hour my mojo was back and we were slogging our way around valley and having a blast. Thanks Chris! The weekly group road ride in Jackson, WY is commonly referred to as the Tues Night Worlds and is often the most intense ride I do in a given week. Last night was the third consecutive Tues night ride I have attended and was by far the hardest for me yet. I would say that overall the group is still ramping up to their normal "rip your legs off" speed but there were moments last night when I had to dig deep to just stay in the main group. It's all good training right? I cannot begin to tell you how nice it was to ride my bike for three days in a row and NOT be cold. Teton Valley, ID finally hit the 70F mark for the first time in 2008 which meant that I got to ride in shorts and short sleeves for the first time in 2008 as well. I would like to apologize to anyone who was blinded by my milk-toast white legs over the weekend...I am now officially working on my cycle-tan. With no dry dirt in sight, road riding has been on the menu and training is going well. The PowerTap has helped to keep me motivated and on track while educating me at the same time. Sometime the numbers surprise me and sometime they disappoint. Friday's intervals on the Targhee climb were satisfyingly painful. Lenny Kravitz and The Reverend Horton Heat kept me going. Friday and Saturday's rides took me up to Targhee which never gets old. The climb is a nice 6+% grade and you can cruise it or you can mash it. Judging by how much snow is still up there, we won't be biking the singletrack at the Ghee until July. ...after a longer-than expected time deep, deep underground. The move and subsequent distractions required a large percentage of my energy for a while but I am back. Although I had to miss the 18 hours of Fruita, I am riding again and really looking forward to Steamboat on June 7th.